About Multimedia: How can set as desktop background? How can set as desktop background? 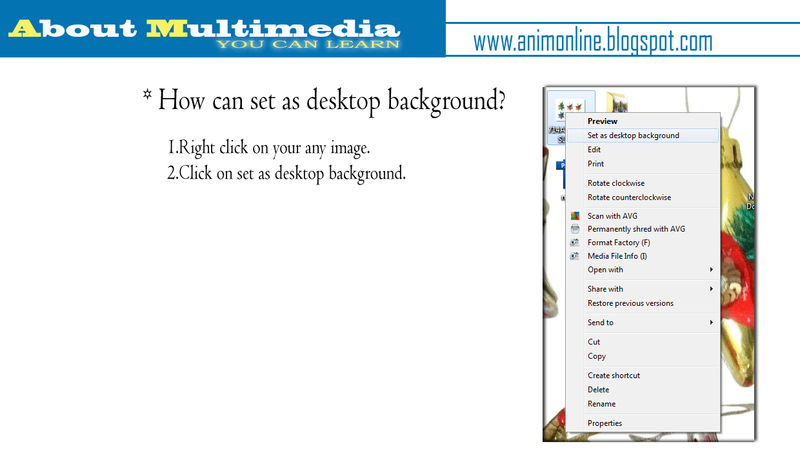 * How can set as desktop background? 1.Right click on your any image. 2.Click on set as desktop background. How can rename any folder or documents name? How can empty recycle bin? How can delete any folder or documents? How can cut & paste any folder or documents? How can copy & paste any folder or documents?